Low spreading, ground-covering habit. 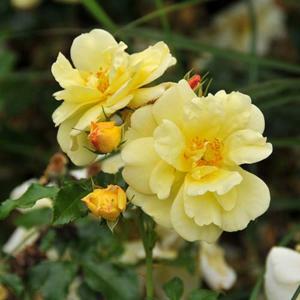 Clusters of semi-double, creamy light yellow flowers, repeating throughout summer. Slightly scented. Glossy dark green foliage. Fertile, moist, well drained soil in an open sunny position. Good disease resistance and trouble-free grower.